One unfortunate goddess suffered from addiction, and another dated a mob hitman. Police had been looking for her for months. Finally, in May 1997, a suitcase stuffed with body parts was discovered near Athens, Greece. The story began in 1996. 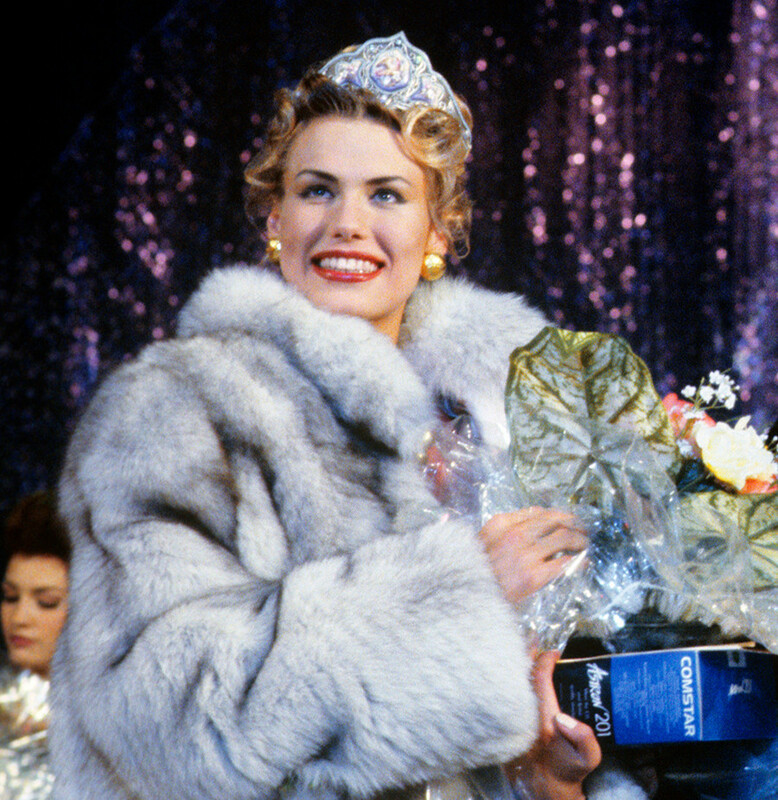 While Svetlana Kotova failed to seize the crown of Russia’s nationwide beauty pageant in 1996, she was a celebrated finalist. Her career took off, and she signed with the top Moscow modeling agency, RED STARS. In December 1996, she met an extraordinary man in one of Moscow’s nightclubs. He was chivalrous, courteous and rich. In a matter of days, the 22-year-old beauty queen developed strong feelings for Russia’s most notorious mob hitman, Alexander Solonikwas in fact a wanted fugitive who had fled Russia for Greece, though this didn’t stop him from taking occasional “business trips” to his homeland. In January 1997, Kotova took a week-long vacation from RED STAR to visit her new paramour in Greece, where the hitman rented an outrageously expensive villa and lived in luxury. Kotova, her first time abroad, had been in touch with her family every day, but not on Jan. 31, which was when the hitman’s old ‘colleague,’ Sasha Soldat, paid the couple a visit at Solonik’s villa in order to knock off his friend. Kotova was eliminated as a witness. Her dismembered corpse was discovered in a suitcase four months later near Athens. She claimed the title of the most beautiful woman in Russia at only 16 years of age. Competing for the crown against the unfortunate finalist, Svetlana Kotova, Petrova seized victory and fame, but also the curse. In just a few years, Petrova rose rapidly in the modeling business, but failed to find her love. Everything changed when she met 35-year-old Konstantin Chuvilin in her native city of Cheboksary. The man was in business up to his ears, a prosperous entrepreneur who ‘controlled’ local market spaces in the city. Some describe Chuvilin as an influential member of a criminal gang that reinvested profits into legal businesses. In any case, Chuvilin was the main target of a killer who waited for the couple and two other businessmen on the stairs of an apartment complex in Cheboksary. A stray bullet hit Petrova. The 19-year old Miss Russia died on the way to the hospital just two days before her twentieth birthday on Sept. 18. 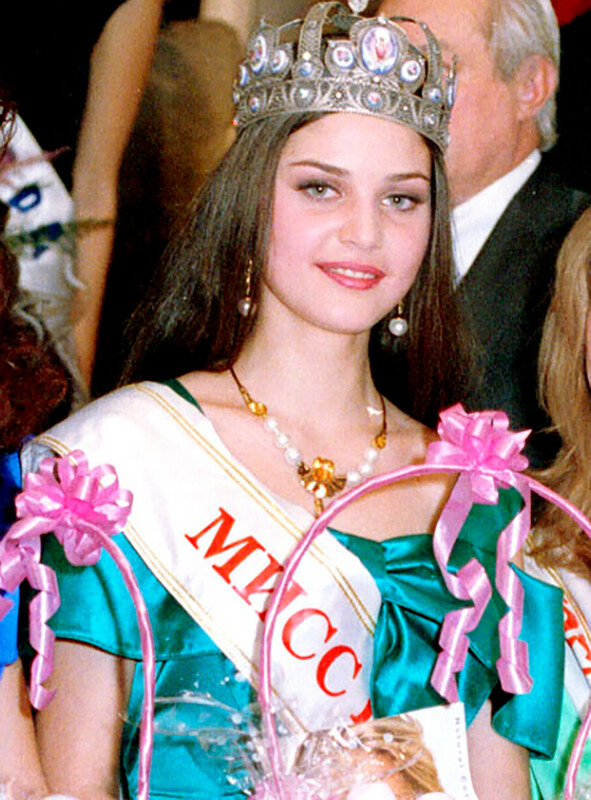 Anna Malova was crowned as Russia’s most beautiful woman in 1998 at the age of 27. Almost immediately after her major triumph, Malova made it into the Top 10 finalists at the Miss Universe beauty pageant in Hawaii. “There is no difference between people of the young generation because they all like the same things, they like to go out, they like to go to clubs, they enjoy the same things,” said thecoy blond beauty when a host asked her what Russia and Ghana had in common. Perhaps Malova liked these things too much. The beauty queen signed a contract with an American modeling agency and moved to the U.S. Her troubles with drugs started soon after, and Malova was arrested multiple times for stealing prescription notices, petty larceny, and assault against a fellow patient in a medical institution specializing in fighting addiction. Malova was last arrested in 2011, and released in 2013 after rehabilitation. Click here to read about Russia’s 3 deadliest hitmen in the ‘wild 1990s’.